A bicyclist rides on the sidewalk on Ninth Street between Asbury and Central avenues on Aug. 11, 2014. Credit: Tim Zatzariny Jr.
A risky game of chicken plays out frequently on the sidewalks of Ocean City. Bicyclists come face-to-face with pedestrians, and often neither is sure who should back down first. This can force bicyclists and pedestrians to veer into the street and into the path of oncoming traffic. It’s an especially big issue in the summer, when the 11-square-mile island’s population swells to more than 150,000 people on weekends and streets are narrowed by endless lines of parked cars. Although city police say there are only a handful of collisions each year between pedestrians and bicyclists, concerns for the safety of both is growing as more and more riders pedal the streets. 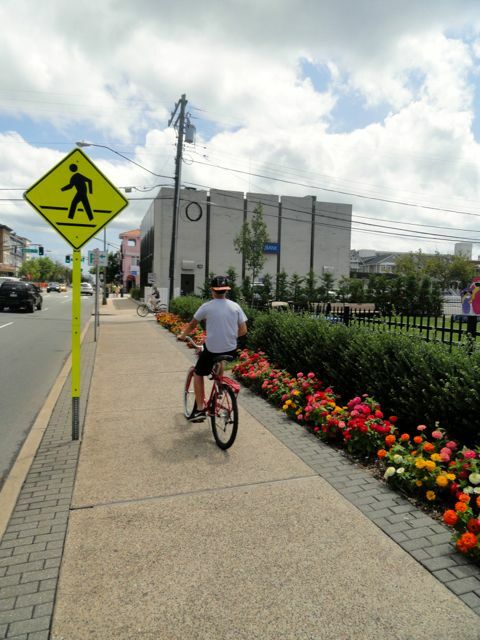 Bicyclists enter the intersection at 11th Street and Wesley Avenue on Aug. 11, 2014. Credit: Tim Zatzariny Jr.
There’s no state law that prohibits riding bicycles on public sidewalks, so whether it’s illegal is up to individual municipalities. 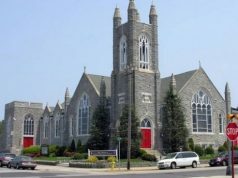 An Ocean City ordinance specifically prohibits bicycle riding on Eighth Street’s sidewalks from Atlantic Avenue to the Boardwalk, and on Asbury Avenue between Sixth and 12th streets in the city’s downtown. Violators face a fine of $30. Even in areas of the city where it isn’t illegal, bicycling on sidewalks is strongly discouraged. 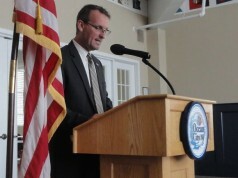 Ocean City Police Capt. Steve Ang said it’s understandable why some bicyclists choose the sidewalk over the street. “In the common-sense world, if I have two small children, where would I rather be? Riding with my children in the street, or on the sidewalk?” Ang said. Bicyclists are subject to the same traffic laws as motorists in New Jersey. 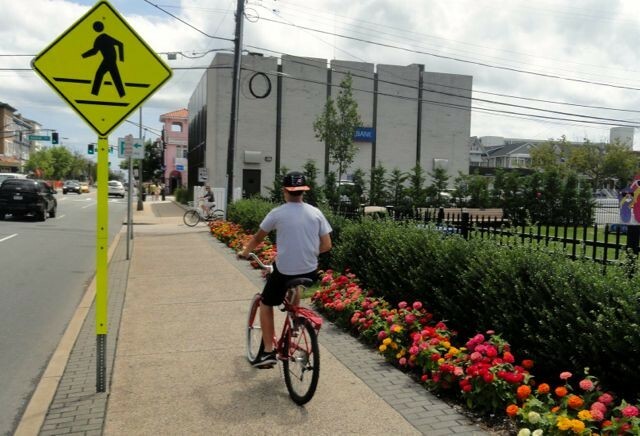 Ocean City will give verbal warnings to bicyclists who commit infractions such as failing to yield to a pedestrian at a crosswalk, but they don’t frequently issue tickets for those violations, Ang said. 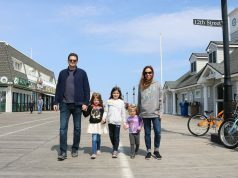 “The last thing we want to do is be out there writing tickets (to bicyclists),” Ang said, since many of them are vacationers. An informational brochure about bicycling in Ocean City, including safety tips, is headed for a second printing after more than 25,000 copies of the first run were distributed over the past two years, Fasy said. “They’ll go into the vacation bag renters get when they check in,” he said. The hope is to educate bicyclists on the proper places to ride in the city. Bicycling on downtown sidewalks can be especially hazardous, Ang said. This presents a quandary for merchants, who encourage shoppers to pedal downtown, although there’s no designated place for bicyclists to ride. Members of the Merchants Association continue to discuss solutions to the lack of bicycling options downtown, said Cunningham, the owner of P. Francis, an upscale gift store on Asbury Avenue. One partial solution, he said, is to keep adding bicycle racks near downtown intersections. “It still encourages bicyclists to come downtown, but it gives them a place to park their bikes and walk,” he said. Although the city has made major progress in creating a dedicated bicycle path across the island from north to south on Haven Avenue (including a new user-operated traffic signal that helps bicyclists and pedestrians cross Ninth Street) there’s still no dedicated path to get from west to east for bicyclists pedaling to the beach and boardwalk. The Route 52 (Ninth Street) causeway includes a shared-use path for pedestrians and bicyclists. 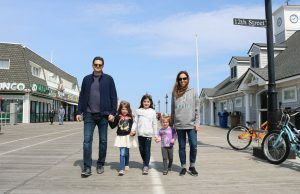 But “one of the biggest obstacle we’ve encountered is, how do we get people from Ninth Street and Bay Avenue across town to the Boardwalk?” Ang said. Fasy, the local bicycling advocate, said there’s been discussion about using the wide sidewalks on the south side of Fifth Street and the north side of Sixth Street to create a multi-use path connecting Haven Avenue to the Boardwalk. Those sidewalks border a green corridor including the Ocean City Tabernacle, Veterans Memorial Park and Ocean City High School. “Although there are improvements needed, that could be a good connector route between the (existing) bike path and the Boardwalk,” he said. 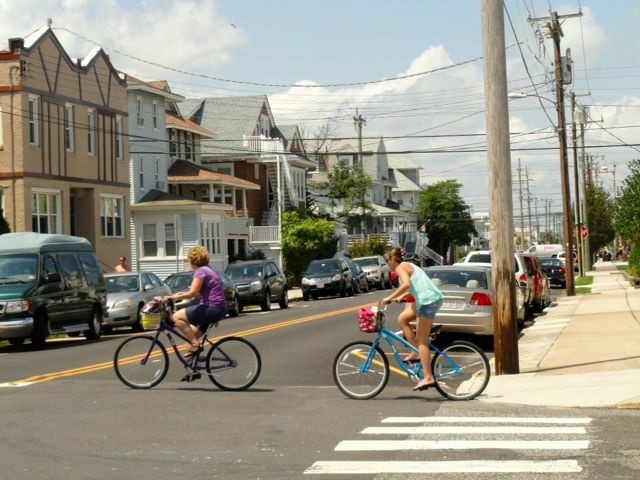 Click here for a guide to New Jersey bicycle and pedestrian laws. On a recent weekday afternoon, MaryEllen DeMarco took a break from riding her mountain bike, outside Hobby Horse Ice Cream Parlor at Eighth Street and Ocean Avenue. She said a dedicated east-to-west path would make getting to the Boardwalk safer and easier for bicyclists. DeMarco, a regular visitor to Ocean City from Woodbury Heights, Gloucester County, said she feels safer riding on the sidewalk, but “if people are walking, I don’t. If nobody’s there, I don’t think it’s a problem. If I see (pedestrians) there, I get off” the sidewalk.